Gary Jet Center has been awarded a Supplier of the Year award by Boeing, the third time the local company has been recognized by the global aerospace company. Gary Jet Center is a fixed-base operator at Gary/Chicago Interational Airport. It provides aircraft maintenance and repair services, global flight technical support and line services to Boeing’s executive flight operations. Chicago-headquartered Boeing bases its corporate fleet at the Gary airport. In 2017, Boeing spent almost $60 billion with nearly 13,000 suppliers from all 50 U.S. states and 57 countries. Supplier-provided components, services and engineering support make up approximately 65 percent of the cost of Boeing products, according to the company. Nine of this year’s Supplier of the Year winners are based in the U.S. The other four are in India, Australia, the United Kingdom and Turkey. Gary Jet Center also earned Supplier of the Year honors in 2013 and 2016. The company was notified in February it was one of 414 suppliers to receive the Boeing Performance Excellence Award and among 85 to be awarded the Gold level of recognition. 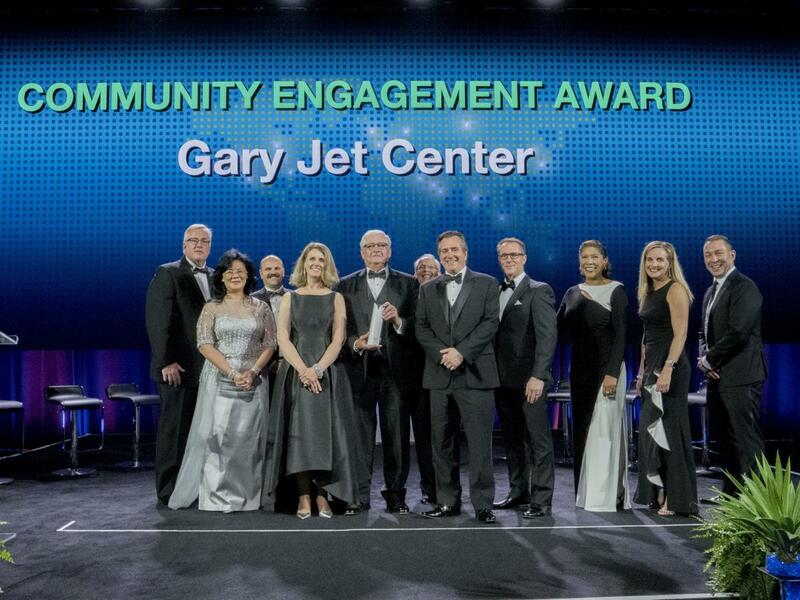 It was the 10th year Gary Jet Center earned the Boeing Performance Excellence Award.